My Granddad was a lover of clocks. He had a thing for buying old broken ones from charity shops, and bringing them home to fix them. He would take them apart, all of the intricate dials and innards of the clock spread out before him, and bring that clock back to life. As a child, I thought he was some kind of magic worker, that he could re-start time. I believed that until the clock started ticking again, time was paused. Id will him to not get that clock ticking for a while. Giving me more of this precious time with him. Just him and me. My child mind did not understanding that time wasn’t standing still while the clock was stopped. Id sit at the table, watching in wonder as he would get that tiny hand, tick, tick ticking again, restarting and spelling out the passing time. As he worked, he would be telling me stories of his own passed time. Stories of he and my nan going to dances in their younger days. Of him and his brother saving for a year just to buy a hand made suit. Id have my head resting on my hands, hanging on his every word, so happy to pass time with him and his stories….. I always think its weird how the universe works. It seems to bring you what you need, when you need it. 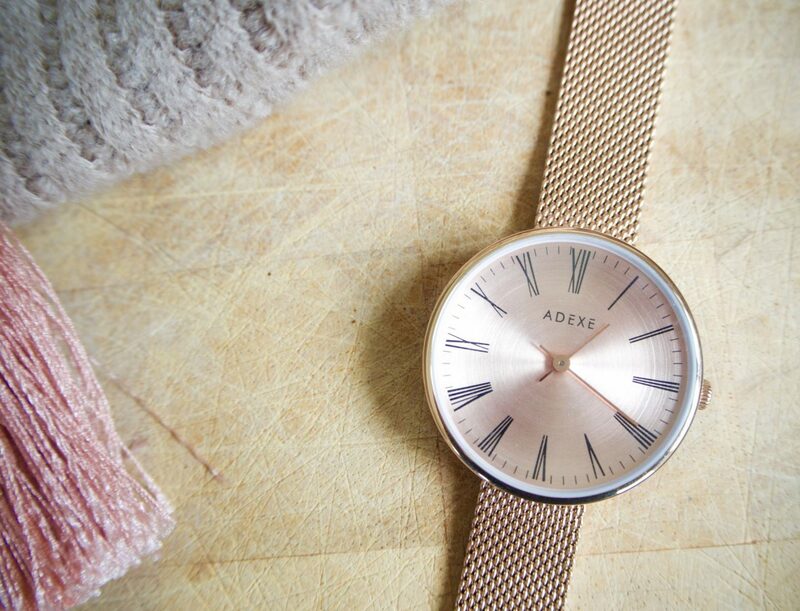 Recently, I was contacted by London based watch company, Adexe London, who asked me if I would like to work on a collaboration with them. The strange thing here is that I had been thinking of my Granddad so much lately. Perhaps because of the situation my family is currently in? When major things happen in life, it makes you reflective, draws memories from as though you need to assure yourself that your head is still holding those precious snapshots of happy times. During my reminiscing, I had decided that I was going to buy a watch, as a reminder of my Granddad, his stories, his “magical” restarting of time. I had even started looking online at watches. The very next day Adexe contacted me! It made this collaboration feel very poignant, meaningful, and of course the watches are beautiful! 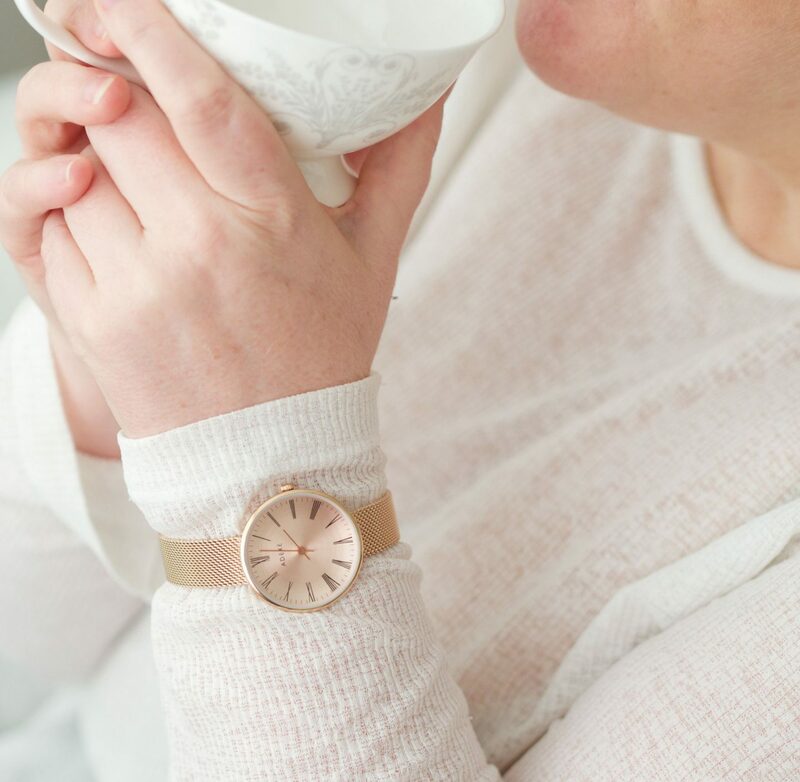 I chose the Sistene Petite in Rose Gold, and I haven’t taken it off since it arrived! 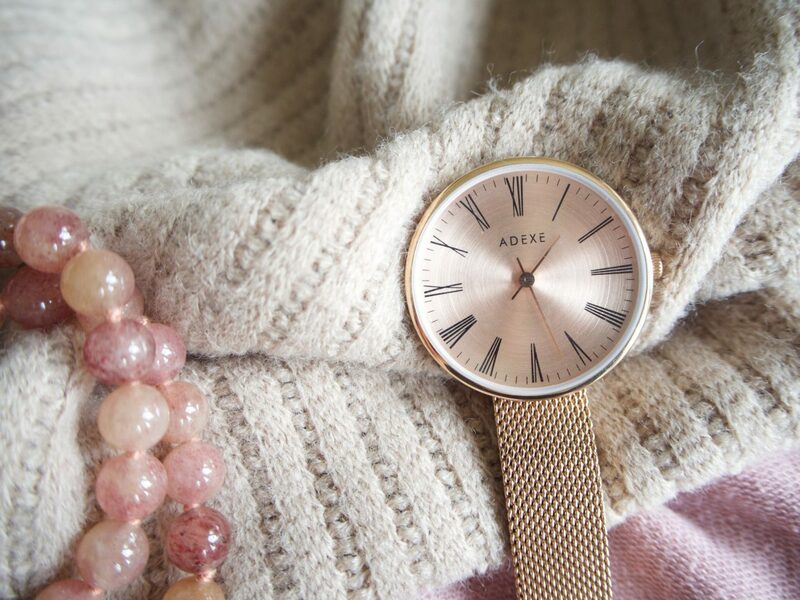 What I loved about the watches Adexe London offer, is that they are classic in design, stylish and still have a modern edge. You even get an additional leather strap included with your watch, as an alternative to the metal, (this is what my Granddad would have had, always a leather strap) so that you can change the look of the watch. They have a gorgeous range, and at such great prices! Thinking of my Granddad, and of how time is so precious, got me wondering. If I were to have inherited my Granddads gift of “controlling time”, and I could pause your day to day life to gift you time that you could do exactly what you wanted, nowhere you have to be, no job you have to do, how would how would you spend it? Imagine that I gifted you an hour, or 24 hours. How would you use those times? My hour would be spent having tea with my husband in a cute cafe where we could watch the sea. We would sit in comfortable silence, side by side, watching the waves crash to shore, just “being”. My 24 hours would be used to jump in the car and head off to a tranquil cabin in the woods, with my family, that is set on the edge of a lake. There would be log burners and fluffy blankets to keep us toasty should the temperature cool, a huge table to seat us all at for a simple yet delicious evening meal, and if I were really lucky, a hot tub on the veranda outside to sit in under the stars. We would sit outside, wrapping the blankets around us as the air chilled when the sun lazily slid down the sky and eased into the lake. 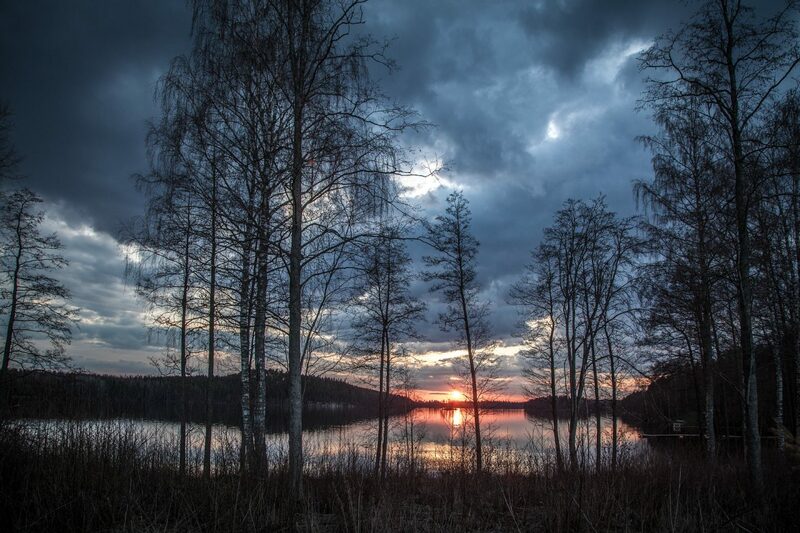 The sunset would be our time keeper, nudging us to go back inside the cabin and perhaps pour some wine, share some memories. There would no tv, no internet and we would have long conversations, laughs that came from our souls and just enjoy each others company until the early hours. We would just know how lucky we were to have this time. I asked some of my blogging friends this question, and I thought I would share their answers. one hour – Lunch on the beach with all my family, (and Troy our dog) drinking cocktails, telling jokes and the kids would be talking about all of their dreams and plans. 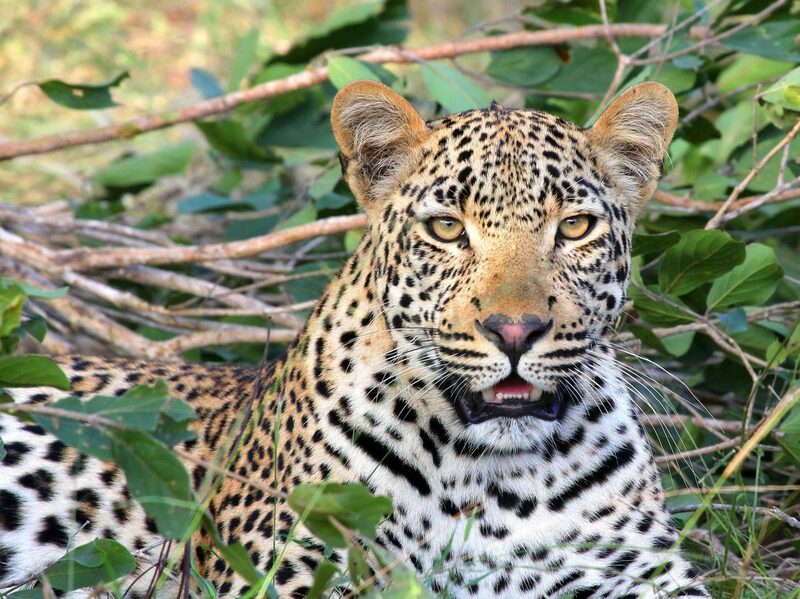 24 hours of time – I would wake up with the hubby, in a luxury lodge in the Kruger. Outside on the veranda is a private pool, a jacuzzi and a breakfast of eggs benadict, with coffee and fruit. The kidults would be in a lodge next door, and join us for breakfast. We would then set off on a safari, and (in my magical world) we would be able to cuddle and stroke all of the animals from lions, to tigers and giraffes. Back at the lodge Id have a spa treatment, and I would meditate with a spiritual teacher for an hour. The rest of my family would then arrive and we would have a big dinner, watching the sunset with Frank Sinatra, Nat King Cole and Elle Fitzgerald playing softly. We would reminisce and drink and I would not sleep until those 24 hours were up. Gift of one hour: I would sit in silence, breathe, journal, read. 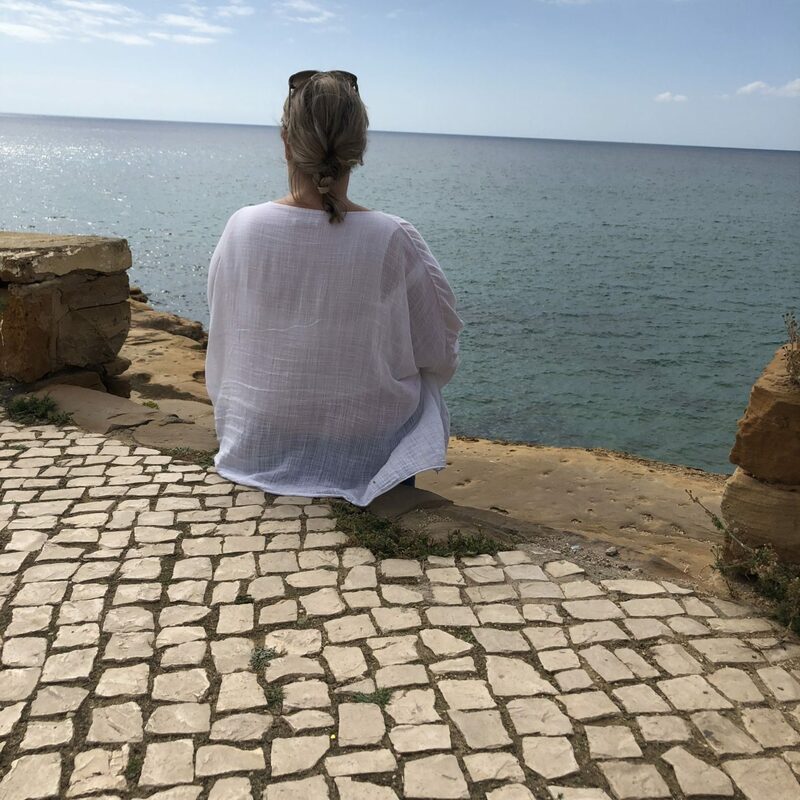 One hour is plenty of time to quieten our minds but often I don’t take the time to do it, when I do I find it very useful and know it’s important so if I was given the gift of an extra hour, this is what I would do. Gift of 24hours: Right now because I am travelling I would fly home and spend 24 hours at home, with my family, in my own bed, see my dog and reset before heading back to travel. one hour – I would spend the time with my husband, telling him I love him. We would chat about the happy times we had enjoyed all over the world and while home. We would spend our hour reminiscing over the beautiful memories we have made. 24 hours – This time would be spent with my family and closest friends. We would fly to Florence, Italy and eat truffle pasta at my favourite restaurant. We would talk and laugh and reminisce until the time ran out. A perfect 24 hours. I absolutely loved chatting to these ladies about how they would spend their time. It really made me think as well about the ways that my time should be spent, what I should make more time for. People, making memories, sharing moments of time, THAT is what life is all about. Thank you so much for musing with me. I appreciate it. I found thinking about how I would spend the time made me focus more on where my time should be directed. I think we can lose sight a little dont you. Material goods come and go but your family and loved ones are there – for richer for poorer! 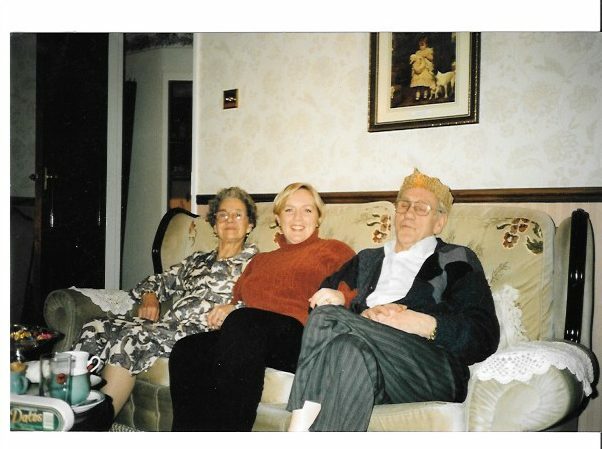 I loved reading this Kerry, reminiscing and thinking about family who are sadly no longer with us is such a valuable way to spend time. I think a lot of us take time for granted, and even waste time, when in fact time is such a precious thing. 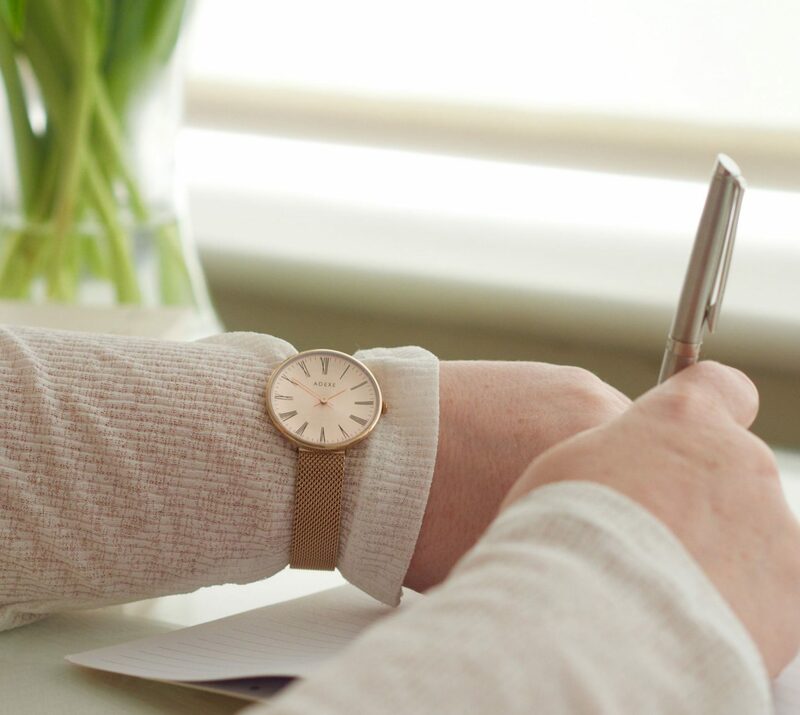 The watch is beautiful by the way, thank you for sharing your thoughts. Loved reading that Kerry, I think that whenever i feel anxious about anything i should sit and think of what i would do if I had 24 hours to spare, I know I would without a question be walking in a wood filled with spring flowers with the sound of a beautiful waterfall in the background and all the dogs i have had and still have running beside me, also knowing that my 6 grandchildren will be in the same beautiful woods playing……. but just at the far end ha ha ha. Wow, loved reading this post!! !